Rent A Loo are the specialists for construction toilets across Melbourne and surrounding areas. We cater for all types of construction sites and have been providing toilet hire services for the construction industry for many years. You’ve got a lot to think about, so you want to work with a professional and experienced team who understand what you need and deliver a quality, on time service that you can rely on. And that’s what you get when you call Rent A Loo. – Have you had a bad toilet experience? You won’t have to suffer any more. – Do you want clean well maintained toilets? – Do you need quick delivery? – Don’t know where to go? – Need somewhere to dump a load? 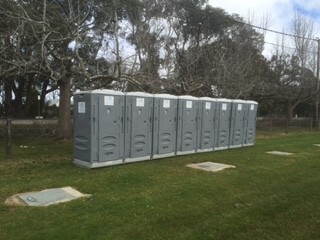 Chemical Loo Hire for the Construction Industry. Workers must have access to conveniently located toilet facilities. Where the toilet is not connected to the sewerage system, self-contained fresh water flushing portable toilets should be provided that are regularly serviced.